ON BENEFIT CARD… Dr. Jerry Graham, often featured in Connecticut, will appear in tag team bout topping wrestling program for the benefit of the Mile O’Dimes drive, to be held next Saturday at the Wesleyan University fieldhouse in Middletown. Wishing on a star is not prescribed as the best way of making dreams come true. Presumably, that is, the star you wish on, is of the “star light, star bright, first star I see tonight” variety. 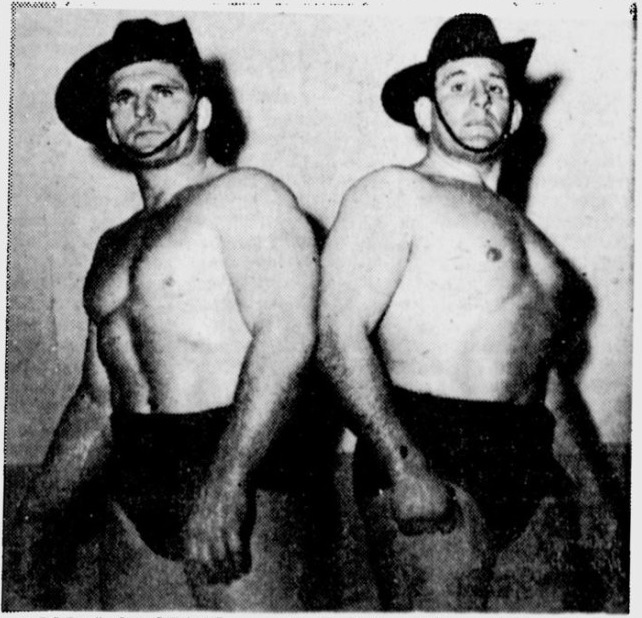 Haystacks (Country Boy) Calhoun, one of the biggest wrestlers in the business, tops the Miami Beach Auditorium card next Friday. Chief Big Heart and Dr. Jerry Graham renew their wrestling feud tonight in the top mat attraction at the Coliseum. The two grapplers have accepted terms to don boxing gloves for ten two-minute rounds, so that a definite winner can be established. 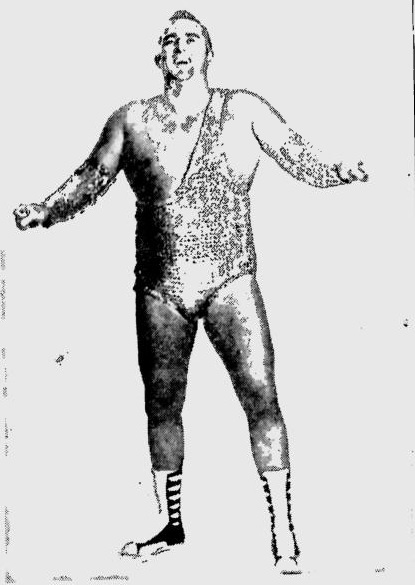 Secondary feature to the main bout will be a midget tag-team match, with the team of Tom Thumb and Pee Wee James matching wits with the duo of Tito Infante and the Brown Panther. The tag team match will as usual be a two-out-of-three-fall match, with a one-hour time limit. Two preliminaries are also slated on tonight’s card. Czaya Nandor, a newcomer from Hungary, will meet Rocky Lee, the Texas star, in a one-fall, one-hour limit test, while Lou Klein and Oyama Kato tangle in the first match of the evening.